The veteran visual artist Raul Isidro (b. 1943) creates his poetic landscape abstractions using imagery culled from childhood vistas close to his heart; the meditative shapes and silhouettes encapsulating the movements of our ever-changing landscape. With a life story that could trump most biographies, it was only Raul’s fortitude that led him to where he is today. 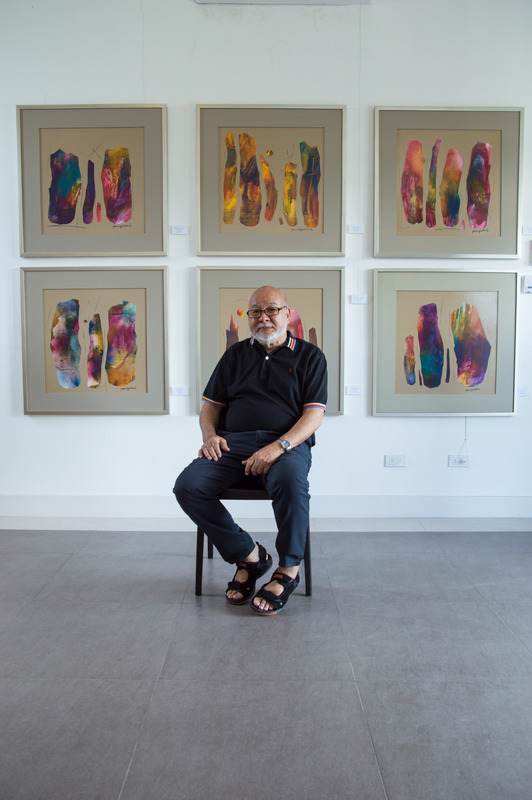 A celebrated artist and member of the community, Raul was awarded the Ten Outstanding Young Men (TOYM) in 1979, the Outstanding Samareño Award in 2011, and the Outstanding Thomasian Award in 2006. Despite his more than 50 years of artmaking, Raul never loses sight of the essential basics, which he believes firmly grounds his abstractions in past experiences. He takes simple elements of larger landscapes – trees, rocks, wind, and water – and projects abstract swathes of movement and color upon their image. The freedom of expression contained within natural boundaries results in an elegantly modernist masterpiece mirroring the limitless potentialities of humanity possessed by every individual.